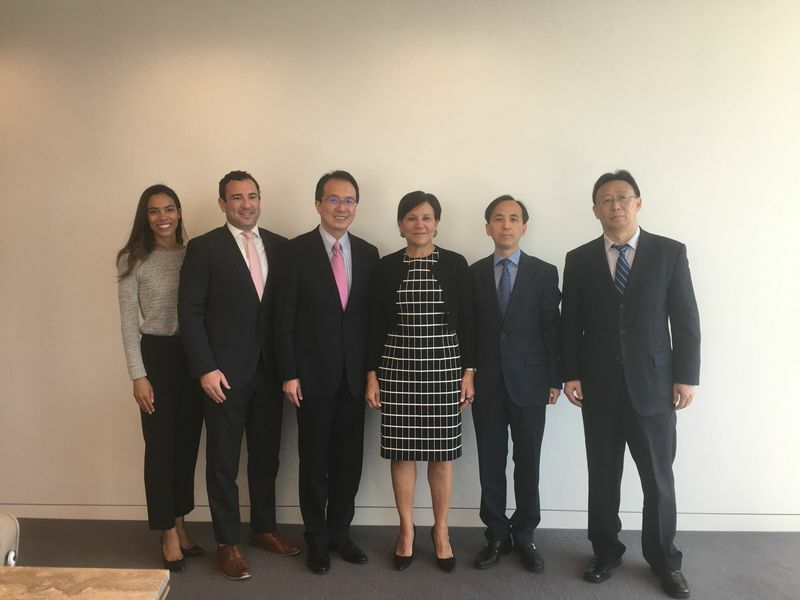 On April 30, 2018, Consul General Hong Lei met with Penny Pritzker, former US Secretary of Commerce and President of PSP Capital Partners. Deputy Consul General Liu Jun, Commercial Counselor Zou Xiaoming, Vice President of PSP Capital Partners Tom Wyler, as well as Chief of Staff Kyla Griffith attended the meeting. Consul General Hong Lei elaborated on the economic and trade relations between China and the US in recent years and said that China and the US have broad common interests which makes cooperation the only right choice for the two sides. In the future, China will keep widening its market access, create a more attractive investment environment, enhance intellectual property protection, and take the initiative to increase import. A more open and prosperous China will bring more opportunities for cooperation to the US Midwest. China will continue expanding win-win and mutually beneficial cooperation with Chicago, Illinois and other states within the consular district, and bring more benefits to both the Chinese and American people. Pritzker said that China-US relations are the most important bilateral relations in the world. She noted that China has achieved great progress in improving investment environment for foreign investors and protecting intellectual property rights. Currently, the US and China are faced with new situations in economy and trade, and she hopes the two sides could enhance communication, actively expand cooperation in trade and investment, and keep broadening the common interests of the two countries.